Overview documents to help you get started on your training journey. Module Matrix – An easy to read summary of the modules that are available for each type of role. Adults Personal File (Section Leaders) OR Adults Personal File (All other Roles) – Everything you need to know to earn your woodbeads! Learner’s Resources – There are 37 modules in the Scout Association’s adult training programme. Here are individual pages for each containing detailed explanations. Direct links to the e-learning programmes that can be completed for each module. Remember to print screen or print out the certificates generated at the end. The following provide links to one method of learning for each module. There are many other methods and you should discuss with your Training Adviser first which is best suited to you. 02: PLP Workbook – This workbook is a method of putting together your Personal Learning Plan, which is Module 2 of the Training Scheme, one of the requirements of Getting Started. 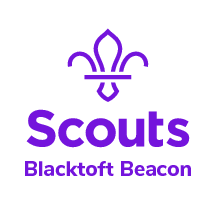 07: Scouting for All – The workbook has been created so you can do your own personal study and includes all of the learning that you need for this module. 11: Administration Workbook & Appendices – This workbook has been designed for you to do your own individual study. It is editable so you can fill in the text boxes and save them to your computer, or you can print them off and fill them in by hand. 13: Growing the Section Workbook & Appendices – This workbook is a method of completing the learning necessary for Module 13: Growing the Section. 14: Supporting Young People – This workbook is one method of completing the learning needed for Module 14: Supporting Young People. 15: Promoting Positive Behaviour – This workbook is one method of completing the learning needed for Module 15: Promoting Positive Behaviour. 17: Running Safe Activities – This workbook is a method of completing the necessary learning for Module 17: Running Safe Activities. 21: Growing the Movement Workbook & Appendices – This workbook is a method of completing the learning necessary for Module 21: Growing the Movement. 23: Safety for Managers and Supporters – This workbook is a method of completing the necessary learning for Module 23: Safety for managers and supporters.